Note: This article is for use by Billing Administrators or those club members that handle billing and invoices. You can create different member types and assign billing codes to member types for current and new member invoices. 2. 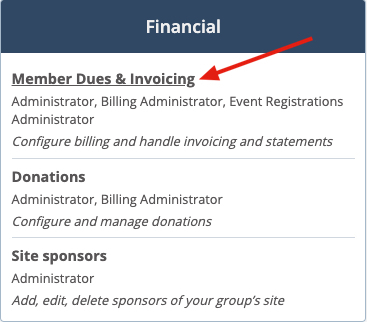 Locate Member Dues & Invoicing under the Financial heading and select it. 4. On the Billing Configuration page, locate Member types then click the Configure button. A new screen will appear. Note: This section is used to relate billing codes to member types. They are related in two ways - one for the generation of dues invoices in the Bulk Invoicing area, and the other for the creation of invoices when new members are added. 1. 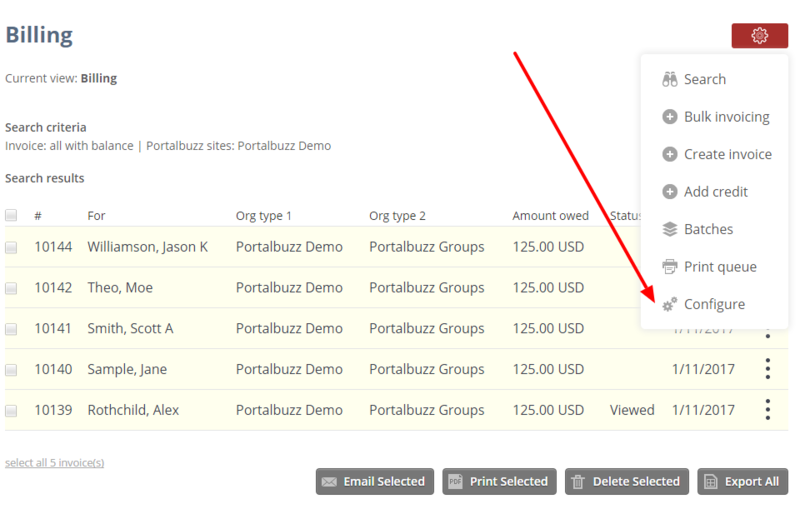 Click the dropdown button in Member type to view the billing codes assign to it. 3. Click Assign billing code to add new billing code/s for the selected member type. 4. Click the pencil icon to edit/update the selected billing code. 5. Click the trash icon to delete the selected billing code. 1. Click the manage member types link. 2. To add a new member type, click the red Admin icon and select Add member type . 3. Type the name and click the Save button. Click the Edit icon to edit /update the name of the selected member type. 5. Click the Power button to activate/deactivate the selected member type. 6. Click the Trash icon to delete the selected member type. 7. Click Return to configuration button to go back to the Configuration page.